We all know that iPhone is the most popular smartphone all over the world. As it is the most valuable phone it provides us many cool feature. We can do many things with these features. We can do much more things than a Android smartphone. Today we will talk about iPhone messages. Our trick name is how to turn off lock screen message replies in iPhone. You will be able to disable lock screen message replies in iPhone. So, read the full trick to know about it. If you want to prevent anyone from pranking you and possibly causing a serious misunderstanding, you can turn this feature off and here we giving the steps to turn off the feature. To do this, firstly you need to open your iPhone’s settings. And then you need to tap Touch ID & Passcode . After that you will need to enter your passcode. 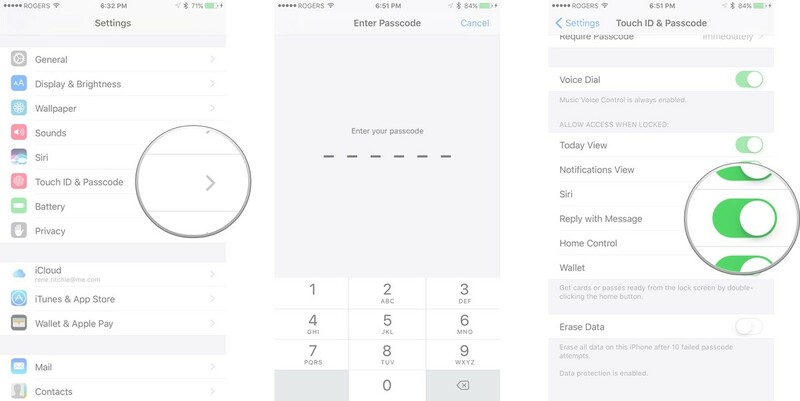 Once you have opened the Touch ID & Passcode settings, scroll down to the section that says, Allow Access When Locked . If you really want to make your iPhone extra secure and private, you could deselect all these items you’ve got there. You need to turn off the feature name is Reply with Message . Tap that off so you or anyone else can no longer reply to messages from your iPhone’s lock screen. By the same process you can turn on this feature to reply message on your iPhone lock screen. Through this simple task you can turn on lock screen message replies in iPhone. Now, when messages appear on your lock screen, the only way to reply to them will be to unlock your iPhone and open Messages. So, through this simple and easiest way you can secure your iPhone. Hope you like it.